Some Eden Valley youth gather in Chief Jacob Bearspaw school gymnasium to participate in activities with Turner Valley Boys and Girls Club as part of cadet training. A program in Eden Valley is giving kids in the community a first-hand look at what it's like to be a police officer. 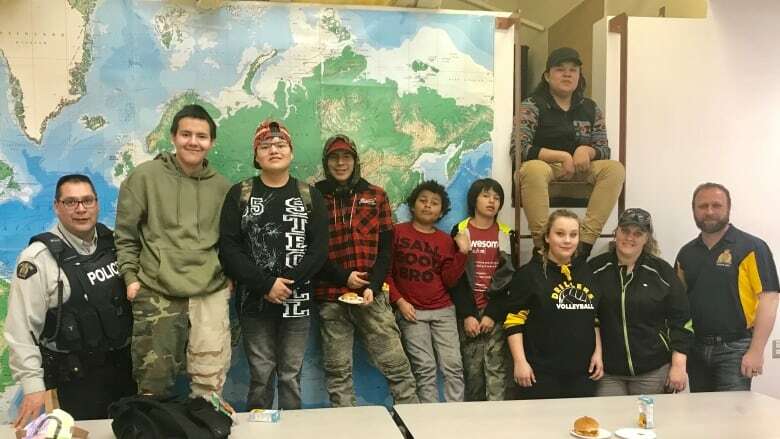 The cadet training program has Eden Valley youth gather in Chief Jacob Bearspaw school gymnasium to participate in activities with Turner Valley Boys and Girls Club. 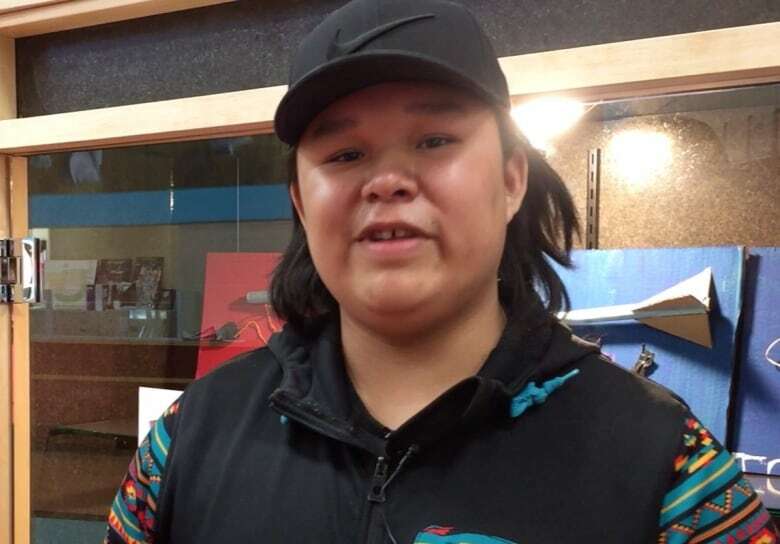 Turner Valley RCMP started the cadet program five years ago using the same model as the Maskwacis Cadets from Northern Alberta. Turner Valley RCMP Const. Larry McDonald is the program's drill instructor. 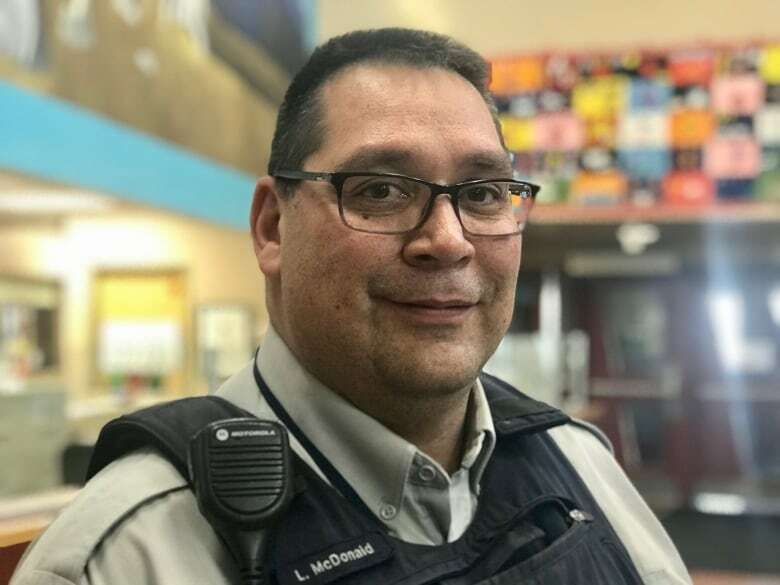 He said working with the youth is a proactive community service, which engages Indigenous youth, and fosters a trusting relationship with the local RCMP. "They know who the police are, they know if they ever get in trouble or scared, or they need help, they [can] call us and contact us," McDonald said. The cadets learn about drills, discipline, how to take commands and life lessons. While the program was founded before McDonald's time, he hopes to keep it alive. The program is open to Eden Valley youth who are between the ages of 11 and 17. There's also an awards system in place for first-year cadets to earn a permanent place in the program. "I joined the cadets because when I grow up I want to be a cop and help the city," said Grade 6 student JessieDaniels, who is a first-year cadet participant. Cadets get the opportunity to participate in local events, parades, camps, and activities. "I learn how to march, I learn what is good and bad," said Daniels. The Turner Valley Legion sponsored the program by providing food for the youth after class. Grade 10 student, Miguel Labelle has been a cadet participant for the past five years. He said he joined because he wants to create change. "I kind of found it fun to join, like for experience. I always wanted to be a cop when I grow up," Labelle said. Cadets learn to work as a team and communication skills when dealing with people outside of the community. Turner Valley RCMP and partners encourage all youth to join their local cadet program as a way to stay away from drugs and alcohol.